61 years after commencing operations, Sri Lanka’s famed Pulmoddai mineral deposits shall continue to vest with the public. Recent social media messages saying they are to be transferred or privatised are baseless. “Neither the government nor this Ministry has approved divestiture of the profitable Pulmoddai Mineral Sand deposits” said the Minister of Industry & Commerce, Resettlement of Protracted Displaced Persons & Cooperative Development Rishad Bathiudeen on 21 March in Colombo, during his discussions with his top officials. “As we celebrate a proud 61 year anniversary of Lanka Mineral Sands Ltd (LMSL), it is very important to note that neither the government nor this Ministry has approved any Cabinet Memorandum related to sale or divestiture of the Pulmoddai Mineral Sand deposits which is under LMSL, which in turn is under us. There is also no any negotiation taking place at present on such a transfer of this deposit’s ownership from the government to any other party, as speculated” stressed Minister Bathiudeen. On 21 March Minister Bathiudeen was in discussions with his top officials at the Ministry in Colombo 3. 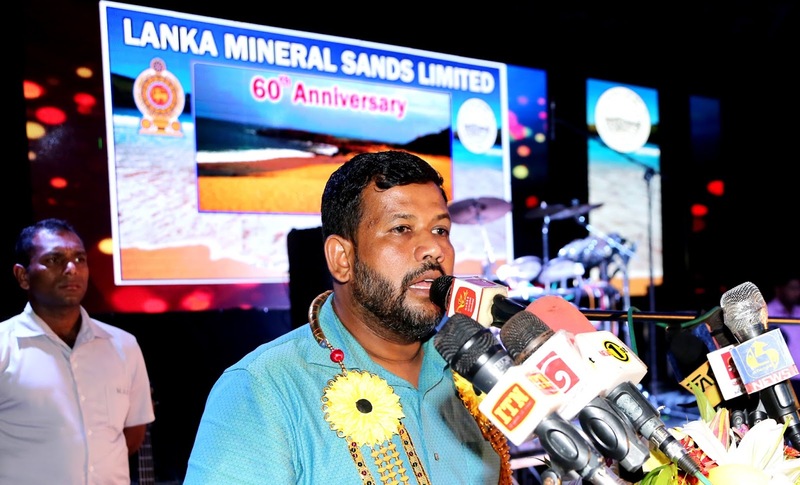 Only 21 days ago on March 1, 2019, LMSL- Sri Lanka’s pioneering mineral sands producer- proudly marked its 61th anniversary. The key products that the company markets are Ilmenite, Rutile, Zircon, Ilmenite with by-products etc. In 2018, LMSL reported Rs 676 million Mn net profit after tax! Meanwhile, the following clarification is also issued by the Ministry on the recent transparent sale of ilmenite. LMSL plans to diversify into new products and locations, expanding to Value added products and establishing a new mineral processing plant in the vicinity of Kokillai in 2019/20.